I’ve been in a crafting mood ever since I started the temperature blanket. Now I’m also crocheting a bunch of baby stuff for all my friends and family that are expecting little ones. 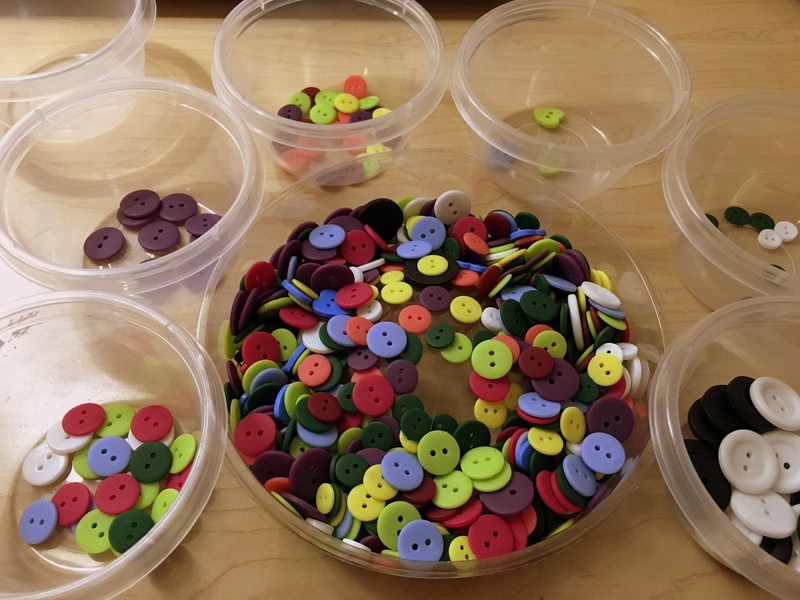 Some of these projects need buttons, so I bought a tub of buttons at Michaels. Seemed like a good idea until I had to sit down and sort them all. I miss Button Button, a store in Vancouver that specializes in buttons. I could spend hours in that store. In other news, my cousin is now a father! Congratulations to Kuya JC and Kim on the birth of little Aubrey! !